Winter has already begun. You can enjoy your cup of hot cocoa watching Netflix rolled in your favorite blanket. But your car might be chilling outside. Therefore, you need to make some preparations to make your car ready for winter. Without much ado, let’s get started about how to prepare your car for the upcoming season. The first step in checking your tires for winter is checking the tread on it. The tires need to have enough tread on it to dig into the snow-laden road. If the tread is worn off, the tires won’t be effectively able to move on the snow-covered roads. Have a check on it before it starts to snow. Get the tires replaced if needed, probably with snow tires with better treads. You’ll also have to get the tire pressure checked. Cold air is denser than warm air and therefore takes lesser space inside the tire. This reduces the pressure of the tire. 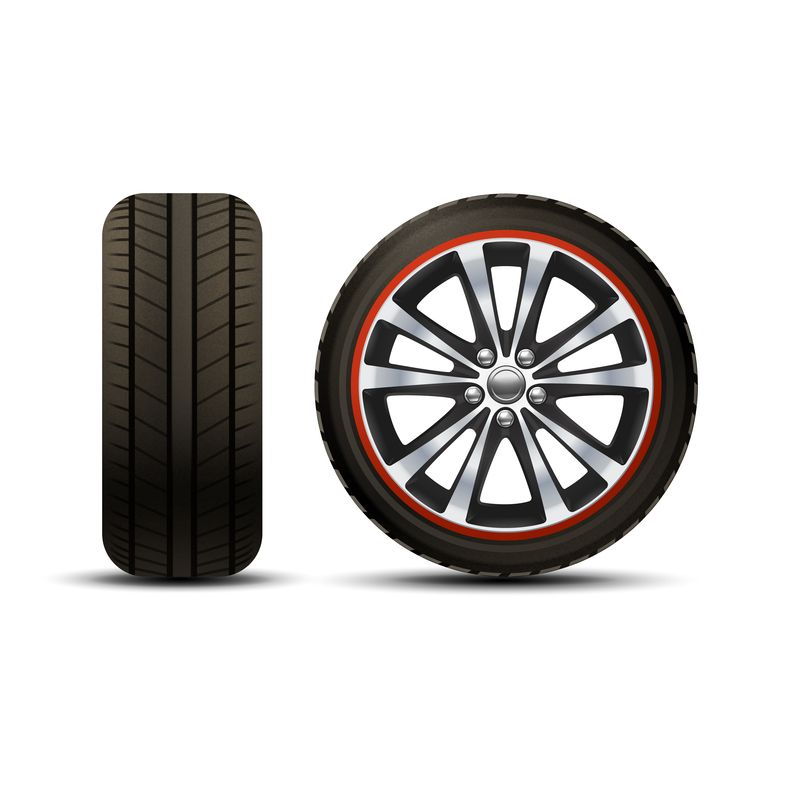 A substantially low tire pressure can be dangerous. However, you need to have eye on it only when the winter starts as it’s the cold air which is the main cause of reduced pressure. Coolants also known as anti-freeze help to keep the cooling systems from freezing up in the cold. However, to be effective it’s important that the coolant is fresh as old coolants lose the ability to do their jobs. It’s a good idea to get the coolant flushed in fall before winter hits. You also need to get the cooling system checked for any leakage. Make sure that the fresh coolant is refilled to full to help you last the entire winter without any problems. The first thing to check is the level of oil. Before winter starts make sure that all the oils are in correct level. You may also need to check for the viscosity of the oil. Some cars require you to switch to different viscosity oil. Check your manufacturer’s manual to find out if you need to get the oil viscosity changed. However, it is generally older model cars which require different viscosity oils during different seasons to keep the oil flow proper. In hot seasons, it requires higher viscosity oil and in colder seasons, a lower viscosity oil. Modern cars typically run on lower viscosity oil throughout the year that doesn’t need to be changed. Just check your manufacturer’s manual to know if you need such a change. A cold engine is difficult to crank over especially if it’s a cold morning. If the battery’s already not powerful enough, then you are gonna have a tough time when winter hits. Get the battery and the terminals checked by the need of fall and get it recharged or replaced if needed to have a stress-free winter. Winter is tough on your car but you know, it’s rough on the wiper blades. Cold air makes the rubber of the blades brittle and the snow and ice is more difficult to clear than water. If you already have a wiper in poor condition, then the odds of its survival and optimum performance this winter is too less. And in some cases, it can even lead to fierce accidents, if it is not able to effectively clear the snow and ice from the wind shield. Don’t take such a risk and just get it replaced if it needs in order to have a safe winter. Your regular wiper fluid is useless during winters as it tends to freeze in cold temperatures. Instead of cleaning the wiper, it instead creates a problem and needs to be defrosted. Additionally, it also worsens the visibility due to freezing. Therefore, it’s best to use a wiper washer which is specially formulated for use in winters. It doesn’t freeze in cold temperatures thereby giving optimum performance. Get your gallon ahead of winter to avoid problems while driving. It’s important to have your heating system checked before winter starts. If the heating system is not working properly, then you’ll have a tough time defrosting and dehumidifying your vehicle. Additionally, also get it checked for any leakages. You also need to check if the window defroster is working properly. Windows are the most affected parts of your car when it snows. Therefore, it’s apt to have your window defroster working perfectly to avoid distress and spending extra energy on defrosting it. If you have a garage, do use it religiously to park your vehicle every night. It may snow heavily during the night or the temperature can go below the freezing point only to give you an iced car next morning. Therefore, it’s ideal to make an extra effort to park your car inside the garage every night religiously to avoid the distress the next morning. It will not only help to protect the paint job, windshield and the windows but it will also keep the fluids from freezing. If you don’t have a garage, you can buy a car cover. However, the car cover will not offer you complete protection. It will protect your paint job, windshield and windows but it won’t help the fluids from freezing. Alternatively, if you can find a rented space at an affordable rate near you, you can go for that too at least until the winter goes away. Well, this is tip which you need to exercise throughout the winter. Every morning when you get up with a snow-laden car, make an extra effort to clean it off completely. And completely means completely! No matter how tall your SUV is. This ensures that everyone around you is safe while you drive. Many times, snow and ice can fly off your car and smash into someone else’s. This sudden bump of ice/snow on their cars can even cause crashes and be fatal. You never know when a blizzard may arrive while you are still driving. 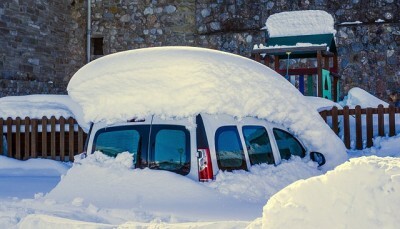 This can be pathetic as you may be stuck with snow all over your car. And if you are far away from home or in a rural area, this can be dangerous. Walking out for help is not a smart measure to come out of this situation. It’s best to have an emergency kit ready in your car for such a situation. You’ll have to carry essential items like a flashlight and spare batteries for it. You may also want to keep candles and matches. However, you’ll need to keep them dry in a sealed plastic bag. You’ll also have to have spare batteries for your cell phone just in case you are stuck for a longer duration and have not been able to get help yet. You may also want to carry at least one sleeping bag just in case you are driving late and get stuck. Apart from that carry water and food stuff like energy bars, snacks to keep your energy levels from going down. Most of the tips given above are about preparing your car for winter before winter. Steps like checking the fluid, battery, oil, etc need to be done before winter starts. The last week or second last week of fall should an ideal time for these preparations. However, some of the measures mentioned here like carrying an emergency kit, cleaning the snow off the car and parking the car under a sheltered roof need to be done throughout the winter. Implement these tips to have a stress-free winter driving. Let us know below in comments section what do you think about these tips. Also feel free to ask if you have any questions. We would love to answer all your queries right here.